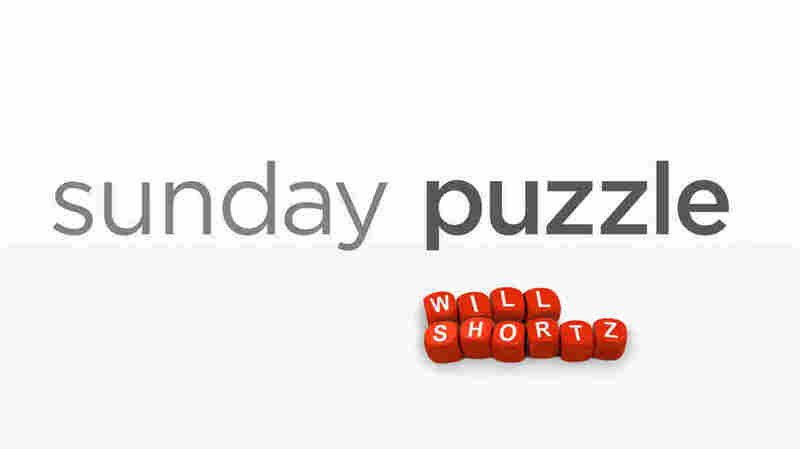 Sunday Puzzle: Ch-ch-choose Your Words NPR's Lulu Garcia-Navarro and Weekend Edition puzzlemaster Will Shortz play a word game with KQED listener Nabil Tamer of Cupertino, Calif.
On-air challenge: I'm going to give you two words. Think of a word starting with CH- that can follow my first word and precede my second, in each case to complete a compound word or a familiar two-word phrase. Last week's challenge: Take the letters S Y T O Y. Add the same letter of the alphabet six times to complete a familiar phrase. What is it? Winner: Nabil Tamer of Cupertino, Calif. This week's challenge: This week's challenge comes from listener Steve Baggish of Arlington, Mass. Think of a well-known brand name in 8 letters starting with H. Change the H to an M and drop the last letter. You'll get another well-known brand name in 7 letters. What commercial names are these? If you know the answer to next week's challenge, submit it here. Listeners who submit correct answers win a chance to play the on-air puzzle. Important: Include a phone number where we can reach you by Thursday, March 28 at 3 p.m. ET.